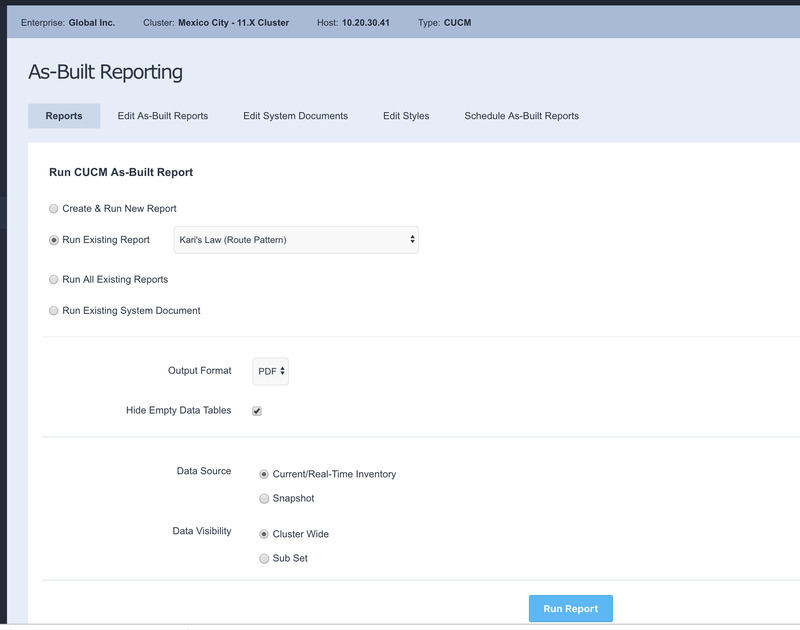 Variphy's Cisco As-Built Configuration Reporting allows you to quickly generate a customized report for your CUCM environment in seconds. Because Variphy Insight is able to read all of the information in the Unified Communications cluster, we provide a comprehensive report in an easily readable format. You know what information you want from your Cisco Unified Communications system, but how do you get it? Half the battle is navigating to the right webpage in UC Administration. With Variphy Insight, get the information you need with just a few clicks. Generating reports doesn't have to be so painful. Variphy Insight makes it easy, automating delivery of your custom scheduled reports via email, or FTP. Report on items such as IP phones, Device Firmware Serial Numbers, End Users, Device Pools, Gateways, Route Patterns and Dial Plan, Hunt Lists, Client Matter Codes, SIP Trunks, CTI Route Points and etc.